Lets power down the host, physically install the RAM and Intel X540-T2 card and start preparing to install VMware ESXi 5.1 U1. For future releases of View 5.3 and beyond we will install ESXi 5.5 but for now we are staying on View 5.2. Next we will install ESXi 5.1 U1, this is a straight forward process. Everyone has a different way of configuring ESXi, some use Host Profiles some don’t. All I will do for now is configure a single MGMT NIC, set the DNS name and disable IPv6. Once I add the host to my cluster, I will run a Host Profile Compliance Check for the remaining settings. Host will reboot, once I have confirmed that ESXi came up properly I’m going to shut it down and move it back into our datacenter. Now for the fun parts! It shows that there is 2GB of Video RAM and a VM is reserving some already! Next, I will run the SMI interface in watch mode to constantly monitor the performance of the Graphics Card this allows me to see how much resources I have available. Now its time to configure a Pool of VM’s that can utilize the vSGA settings that we configured and see the results of our work in Part 3! I’ve talked with several colleagues in the virtualization arena and one of the things they all say is “VDI is tough, it’s always changing, there is nothing harder than virtualizing desktops!” I have learned this lesson the hard way. Two years ago our company deployed VMware’s VDI solution View (now Horizon View) as a proof on concept (POC) to a group of test users, these users ranged from task workers to advanced users running CPU and Graphics intensive applications. That test group was roughly 10 people, 6 months later we deployed VDI in waves to various departments and grew to over 50 users. 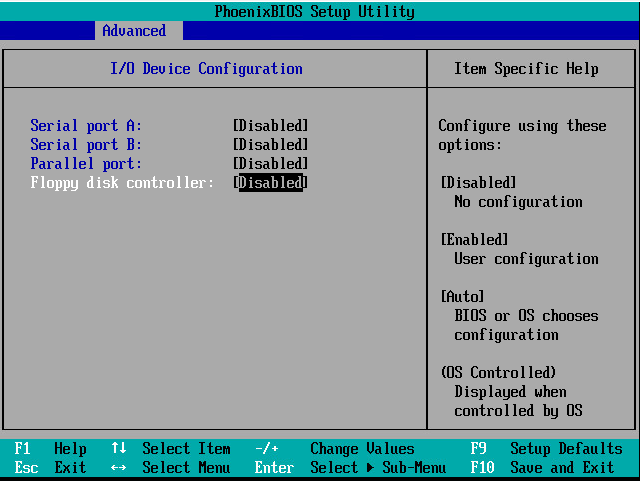 The POC had been deployed before I joined the company and at the time the VDI experience was very good. But as we continued into production, we started seeing performance hits at random times. I started in April of 2012 and was working in another area of IT but was quickly attracted to the allure of VDI and everything VMware. So in my spare time I started doing research into VDI performance issues, I learned about PCoIP offloading, CPU and RAM issues, sizing Gold Images properly, etc. I threw everything out that I knew and started over with new Gold Images, same performance issues. This all happened over 15 months. Then it occurred to me (read: Google, forums, talking w/ vExperts) that storage was our issue. I started reading everything about Total and Peak IOPS and how it relates to VDI, I started scoring our various Gold Images and discovered that some of our images had Peak IOPS of over 150! Do the math…..the Equalogic that we were running had a peak of 1300 IOPS, at this point we had over 180 users, so do that easy math: 180 users x 25 IOPS (average) = 4500 IOPS!!!!! Houston, we have a problem. So what did we do? It’s simple but not easy! We realized that as we grew our VDI environment that we improved everything except storage. 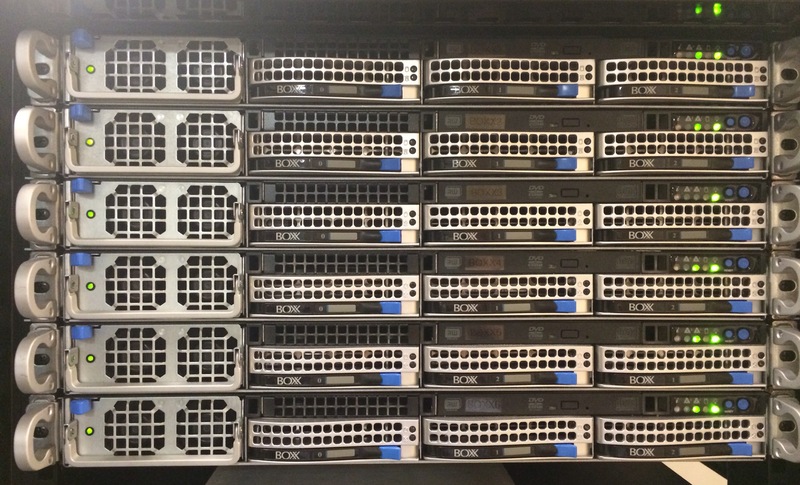 We upgraded to bigger, more powerful hosts, improved our Core Switch architecture and expanded to larger SAN switches, upgraded our Power and Environmental systems. We did every upgrade except storage. This is not a slight towards our team or myself, we just didn’t have the knowledge and experience to truly understand what we were dealing with in VDI. Getting back to the solution (that is the title of this article right?) 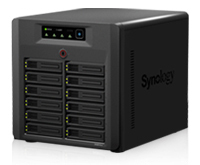 we started meeting with and sizing solutions around various vendors and in the meantime I got the idea to buy a Synology NAS load it up with some SSD’s and give us a fairly inexpensive band aid until we can properly implement a permanent storage solution. I went with Intel 520 Series 480GB Solid State Discs because of the reliability, cost and Total IOPS count (42,000 Read/50,000 Write). Because of the Peak IOPS burst, I have heard horror stories about running SSD’s over 1GB so I wanted to have a nice big pipe to our SAN network, I went with a Intel SFP card that supports 10GB fiber. This fit perfectly into our SAN switches and was excited to get everything put together! Did it fix the IOPS issue? Yes it has! But that was its intention all along. We took the time, did the research and assembled a reasonable budget and solution that could solve an immediate crisis for our end users. Is it a permanent solution? Absolutely not! But we have seen an immediate performance improvement across the board, from recomposes, pool creation, to end user UI improvements, it has been really nice to finally know but to understand the problem. Now that we have our band aid we can focus on our permanent storage solution. I am really excited to start working with various vendors and stand up some POC’s to see how the various solutions work with our systems and processes. Until then I get a lot of joy watching the performance metrics every morning during login storms go smoothly. 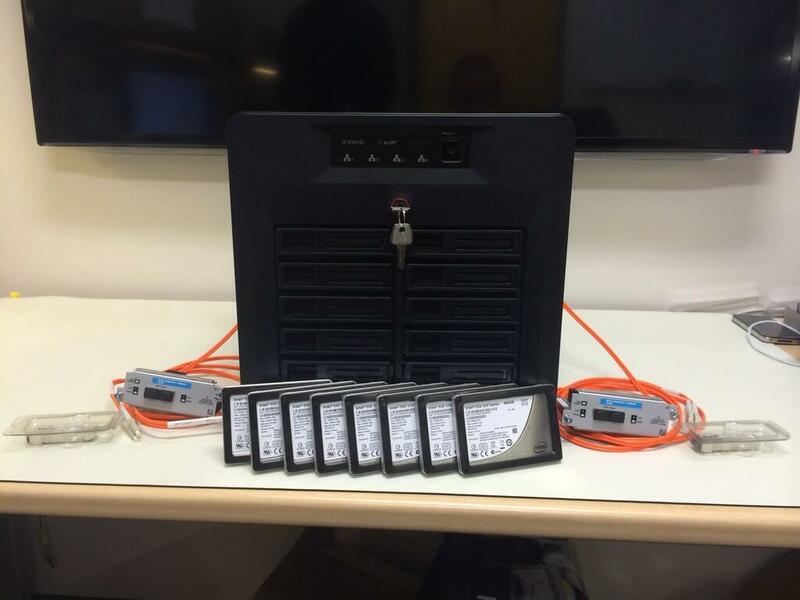 Clone VM’s in seconds as opposed to 90 minutes! I will update this article as I can with some specific performance charts. 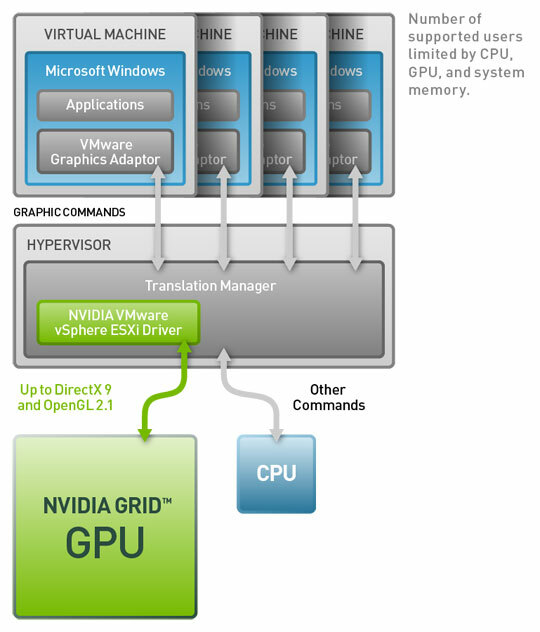 But for now I am getting ready for our next set of problems after storage….virtualizing graphics. But isn’t that why we are doing this, to learn, understand, solve problems and make things better? I know I am! What is the APEX 2800 Offload Card? 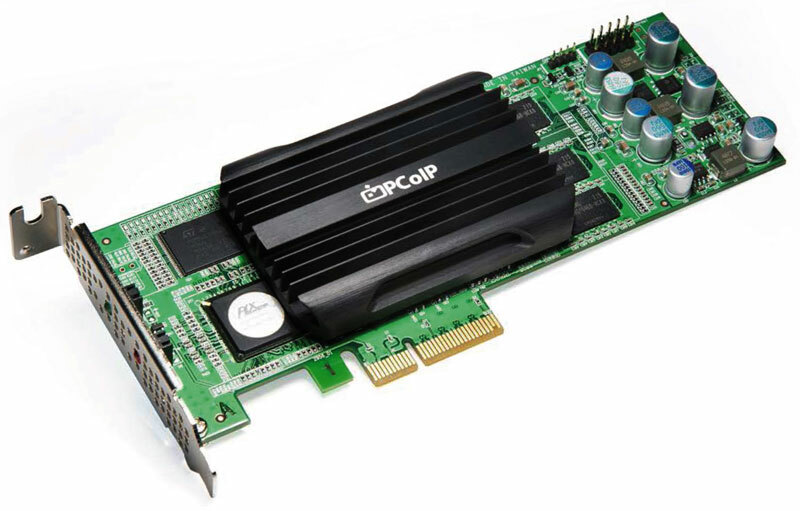 The Teradici APEX 2800 is a PCoIP Offload card for your compute nodes. What this means is when PCoIP traffic is detected on your nodes, each node that has a properly configured APEX card installed, the PCoIP software encoding compute cycles can be offloaded (read: dynamically moved) to this card. This benefits the amount of VDI machines (more importantly your displays) from being crunched by the processors to produce visuals. Is there a benefit? Absolutely! 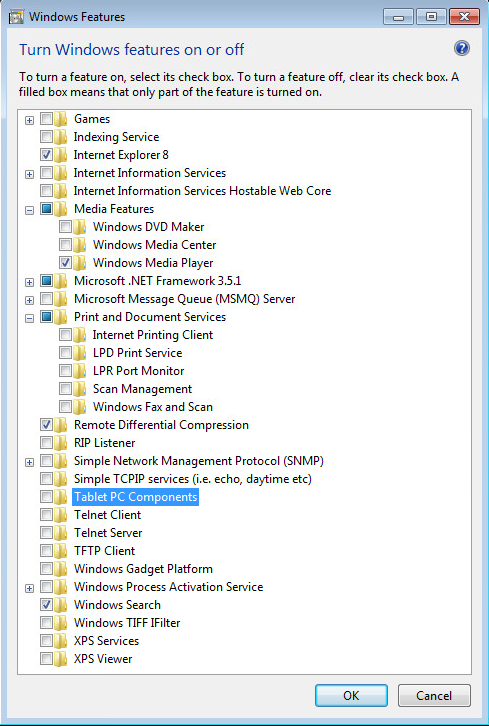 We have roughly 40-75 Task Worker profiles on each host, that’s 80-150 displays being crunched by the processor on top of Windows, Office and other applications. That is a big load on the processor, by moving the PCoIP processing onto the APEX we can save time and resources for those items that really need the speed of the Xeon platform. For the current firmware only 100 displays can be offloaded, still that is a ton of compute processing saved by moving to this card! So now that we understand what it does, let’s get one physically installed into a host and then install the VIB file and enable the offloading. If this Host is in production, move all powered on/off VM’s to another available host. For this part make sure you have a SSH client like Putty and a SFTP client like WinSCP to transfer the VIB package to your host. Go to Teradici My Support (requires login) to download the latest verified VIB package for your version of Horizon View (we will be using the package for View 5.2) Now that we have all of our stuff, lets load up the VIB package! Fire up WinSCP and start a session to the host. At this point we have physically installed the APEX 2800 card, installed the VIB package to ESXi, the last piece is to install the OS aware agent . Go to Teradici My Support (requires login) to download the latest version of the OS Agent. Let’s get started! The VM can be on the Host we just installed the VIB package on. 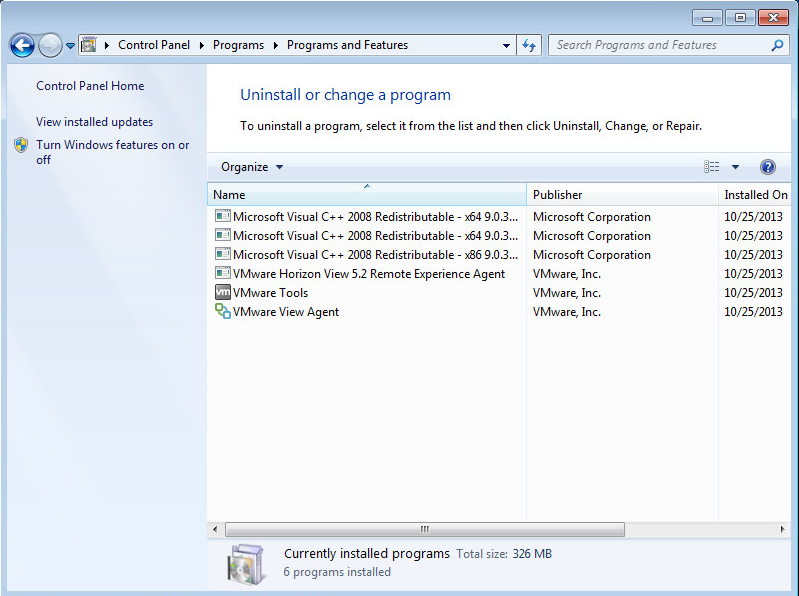 On your VM locate the OS Agent download and run the “apex2800-version-rel-xxxxx.exe” install package. Time to verify the PCoIP processing is being offloaded! Each of these commands can be run from a SSH session, so fire up Putty and let’s verify that it’s working! Before I start with building my Pool Specific Gold Images I start with a Base Operating System Template for vCenter, this allows me to clone for Gold Images, Dedicated VM’s or Test Boxes with all specific Tools, Agents and other items that must be installed for a View Environment. This is the most important step in the process because this truly is the foundation for all future Gold Images in my environment. Let’s get to work! vCenter will now build out the base VM, time to edit some hardware! Next step is to optimize Windows for Horizon View, VMware has a great guide for optimizing including a script to run, I am a little more visual and discovered VMware Flings. Flings has a great application called VMware OS Optimization Tool that can automate a lot of the tweaking for your OS Template, so let’s use it to tweak! 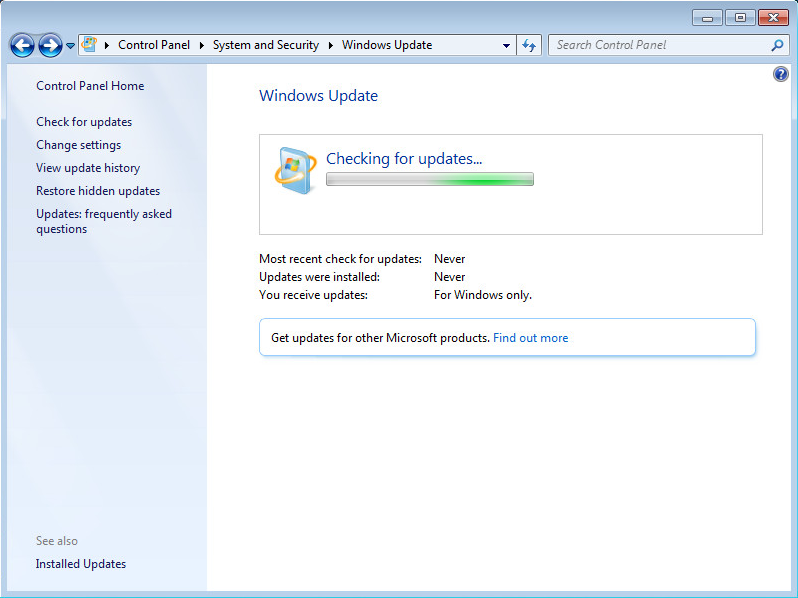 Once the Fling is installed let’s run an analysis and optimize everything except: Windows Firewall (for VMware Blast), Windows Update (latest and greatest updates) and Windows Search. Notice how only 4 are left? Everyone’s tweaks will be different but there are recommended and optional ones you can review! 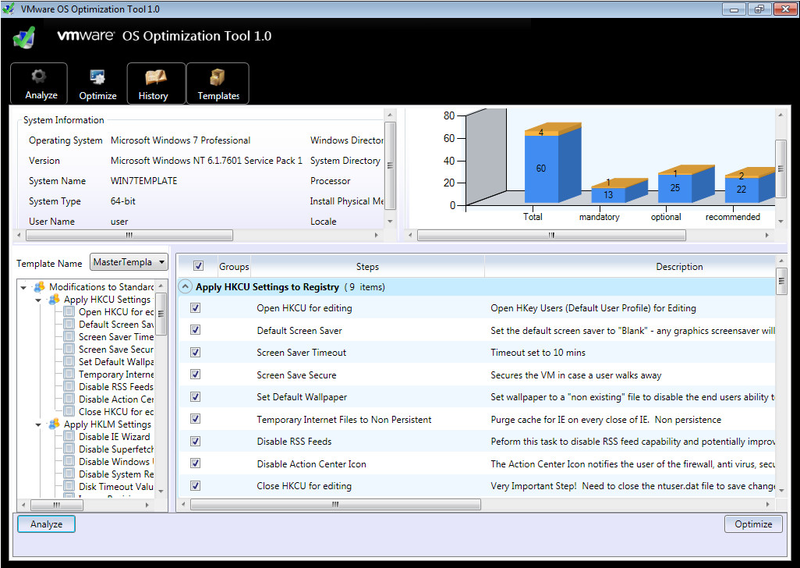 Once you have optimized with Flings uninstall the OS Optimization Tool and lets get Microsoft Updates installed. 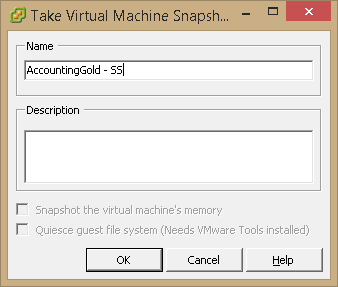 Let’s get ready to Sysprep our OS Template and convert to a VM Template for our Gold Images. 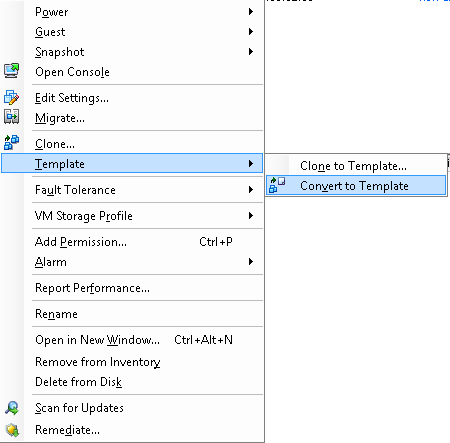 Right Click on VM and Choose Template > Convert to Template. Now that we have converted our OS Template into a VM Template we can proceed to cloning our template to build a Gold Image for View Pools. What’s nice about building a VM Template as opposed to moving to a Gold Image to start with is that now I can deploy a quick Test machine or build out Dedicated VM’s without affecting any other images. Also if you use vCloud Director, it will require having images as Templates for provisioning purposes. Now that we have our OS Template built we can clone it to make a Gold Image. We maintain several Gold Images based on scope of work or department. 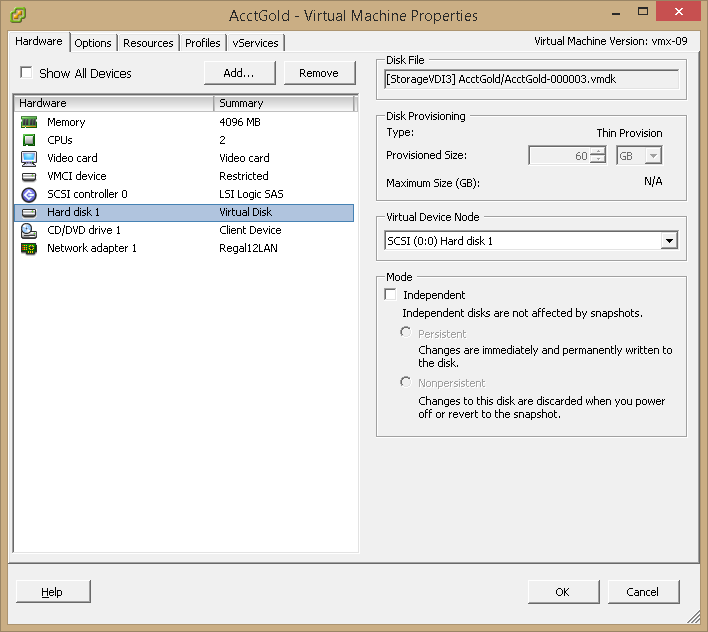 Eventually we will move away from so many Gold Images and start utilizing Horizon Mirage (v2 now supports VDI). Until then let’s build out a Gold Image for our Accounting Department. 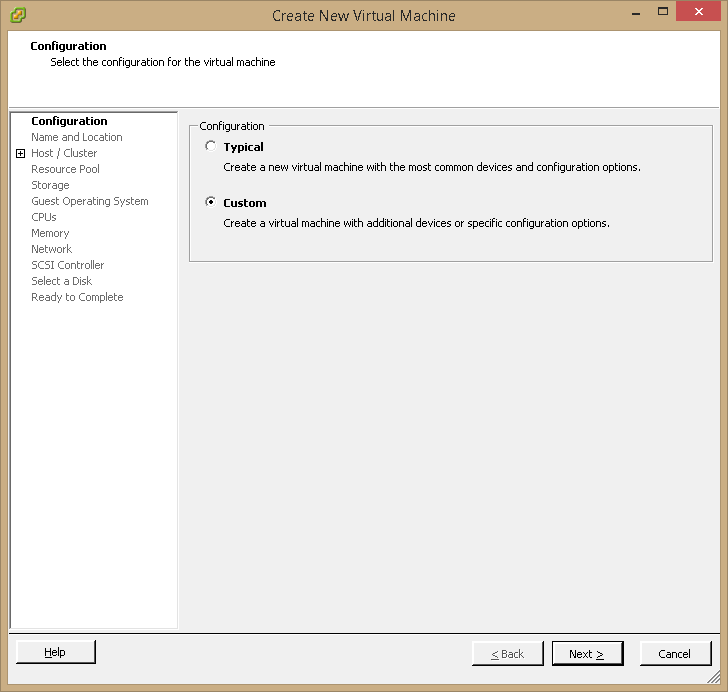 In vCenter let’s clone our Win7Template to make AccountingGold. Each of our View Pools has specific hardware requirements based on the software they use, so let’s make some changes to address some accounting software that we will install. I will enlarge the hard drive to 72GB and increase RAM to 4GB. 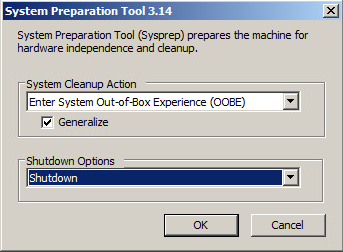 Since we ran Sysprep on the OS Template VM we need to go through the basic Windows Install steps of the new Gold Image. Next join the machine to the domain and reboot. Some people say to join the domain last, but it has been my experience that most software packages are located on a central file server and it makes things easier to authenticate to AD and if you are trying to configure a DSN, SQL or AD specific application. 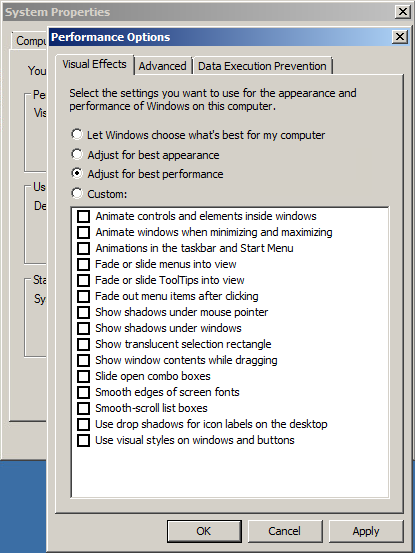 I like to tweak the display properties at this point by going to System Properties > Advanced System Settings > Advanced > Performance > Settings > Adjust for Best Performance. 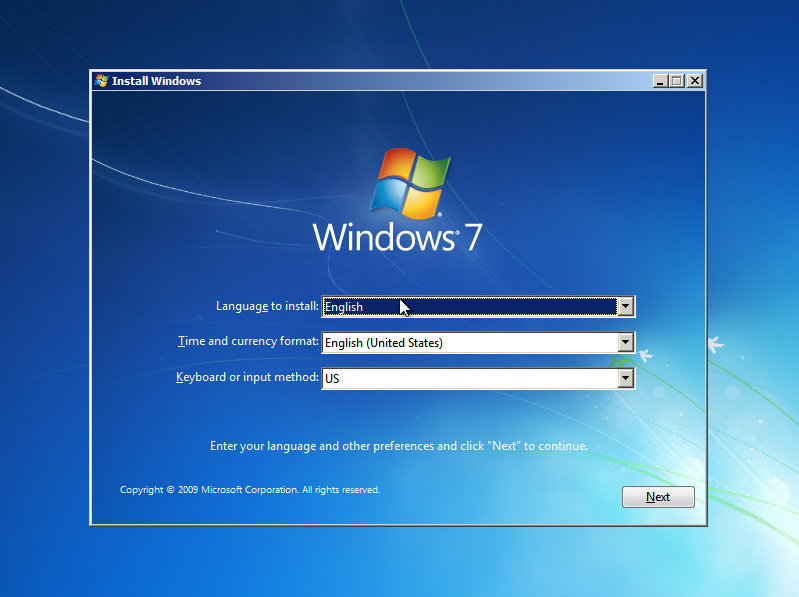 You can also set the Windows Theme to Windows Classic. So let’s assume you have installed everything that you want and are ready to provision this image for use by a View Pool, there are several things you want to tweak to make the linked-clone process go smoothly. Now lets put the Host that our Gold Image is running on into SSH mode. Shutdown your Gold Image and open Putty or your preferred SSH client. Hole Punching should take a while but will eventually finish. Once that is complete, start your VM back up and run chkdsk /f one more time. 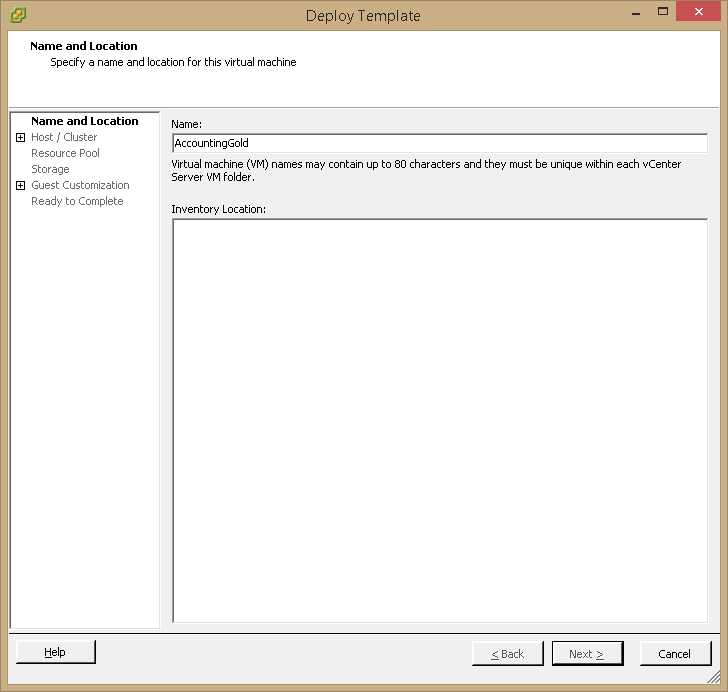 Also be sure to disable SSH in vCenter. Clear the event logs one more time. "C:\Program Files (x86)\Common Files\microsoft shared\OfficeSoftwareProtectionPlatform\OSPPREARM"
Run the script.bat file and your machine is now 100% ready to become a Parent Gold Image for a View Pool, you can take a snapshot and start provisioning a View Pool! 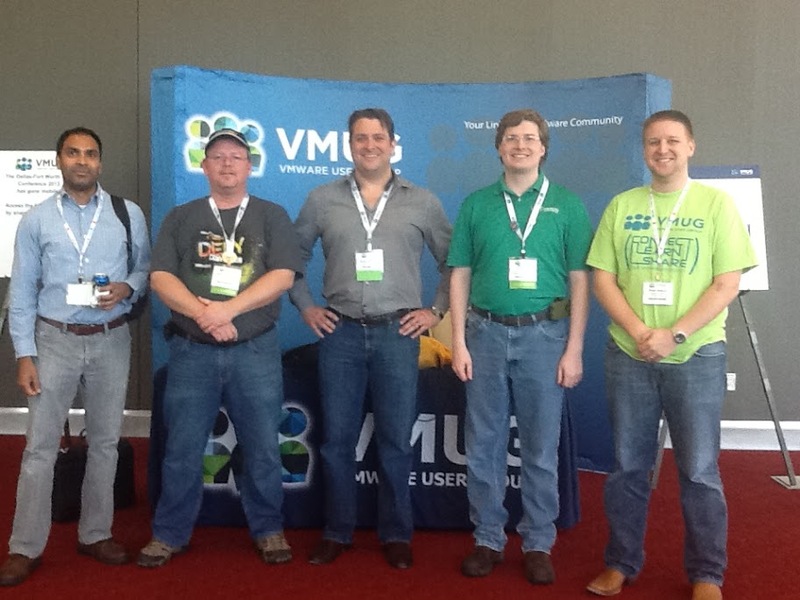 DFW VMUG held it’s annual User Conference September 25 at the Irving Convention Center and it was a blast. It was great to see so many people that are a part of the VMware community come together and geek out. I even had some of my non-VM coworkers come and learn about some new software and hardware at the Vendor Crawl. It was cool for them to see the journey VMware is on. Tommy Trudgen (vTexan) from EMC gave a great presentation showcasing the evolution of Virtualization and how EMC is helping push the boundaries of the Software Defined Data Center. He illustrated the highs and lows of EMC and how they capitalized emerging software and technologies to keep them moving forward and a leader in the storage market. 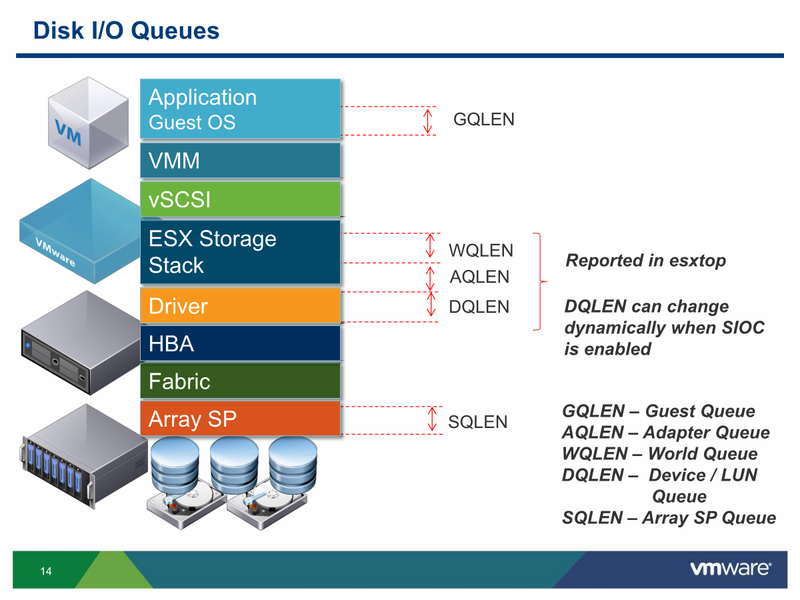 By the time VSAN had been announced at VMworld, I wasn’t able to get signed up any sessions. I wasn’t going to waste time with Hands On Labs at VMworld so I was really pumped to do a deep dive on the subject. 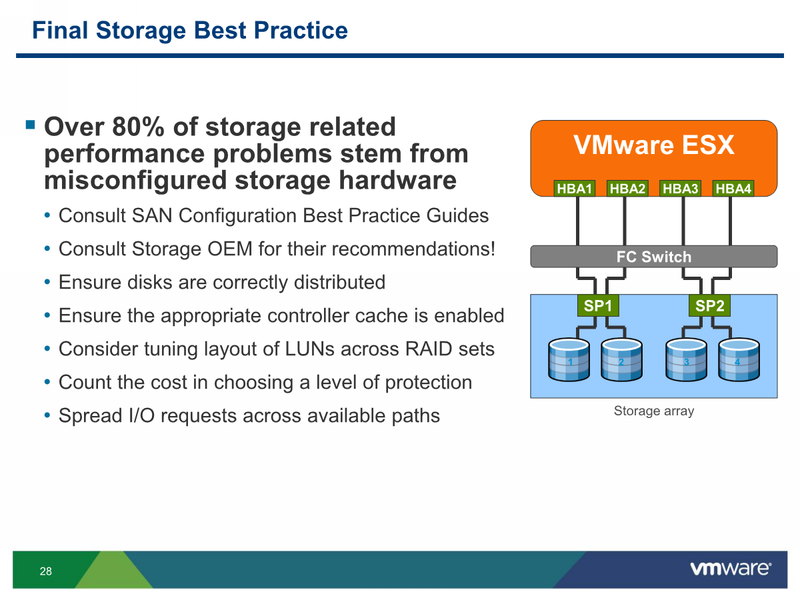 For those that aren’t familiar with VSAN it is VMware’s version of SAN independence and storage convergence. The best example I can give on convergence is Google’s Server Clusters, by storing spinning drives at the nodes instead of centrally storing in a SAN, they couple all the disks into logical arrays. By doing this, you can scale storage and performance on demand as opposed to sizing a SAN prior to implementation and then adding shelves to handle growth, be it expected or not. That was the quick version, for a more detailed assessment of what VSAN is, check out Duncan’s article at Yellow Bricks, lets dive into some best practices for VSAN. Automation is a concept that I am trying to learn more about, this session threw gas on the fire for me. PowerCLI and PowerShell is the start to making vCenter commands more automated, but it doesn’t automate processes, in comes Puppet Labs. Puppet Labs is an automation platform (Purchase and Open Source Models) that the vCloud and vSphere teams use to automate provisioning of Application stacks and other management intensive processes. VMware also makes available all of the Puppet Lab scripts that they use on GitHub. Think about the last time you implemented a software solution, what was the first thing you did, white papers right? Our company implemented an ERP platform and our install process was over 200 steps just for the servers! Now think about spitting out some code and clicking run….yup! To play with Puppet Labs start with something simple like the vCenter Server Appliance and configure IP, DNS, hostname, etc. In very simple terms, that’s Puppet Labs, check them out and if you have any questions, give Nick Weaver a tweet, also check out another project works on: Project Zombie. If you are part of the SLED market (State, Local and Education) then you have probably heard of Presidio, they have implemented VDI solutions in 1/3 of the Nations Colleges that is no small feat. Mark Vaughn gave a compelling presentation of common misconceptions with VDI, areas to avoid, lessons learned and what we can expect from VDI in the near future and how VMware is leading the industry in virtualizing desktops and offering Desktops-as-a-Service (DaaS). Storage performance is on every admin’s mind, unless you have a Flash array! 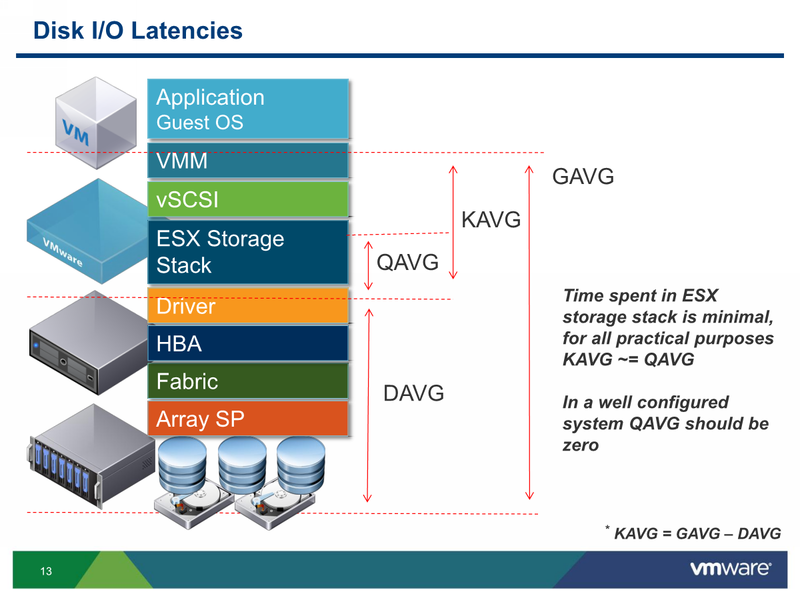 Brad gave a high level overview of how storage has evolved with the releases of vSphere 5.5, VSAN, and vFlas Read Cache. 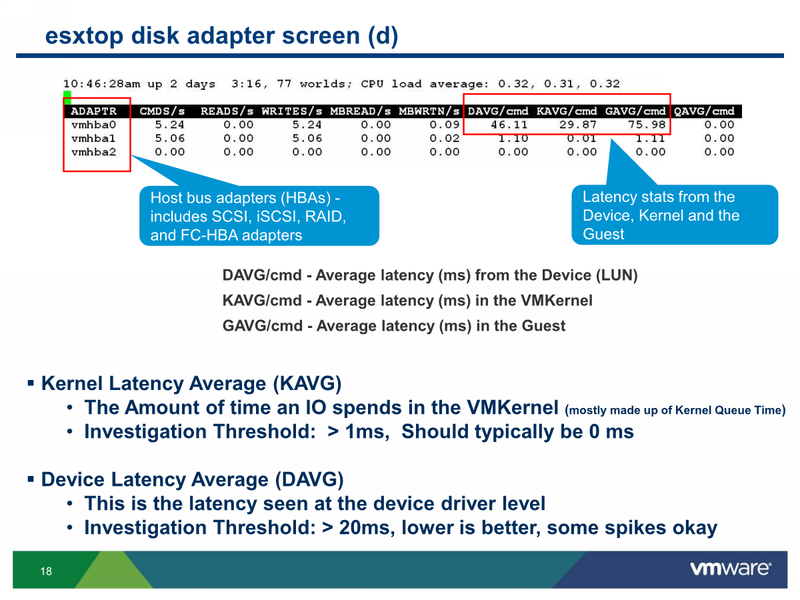 I got some good nuggets of information when running esxtop and understanding averages vs peaks, here are some valuable slides on esxtop info. All in all it was a great User Conference, this was my first and will not be my last. Up next VMworld Barcelona is going on right now and then later in October VMworld on the Road is coming also, check those out if you can! What is all this talk about VDI? VDI is a virtual desktop infrastructure designed to provision desktops as a service to the end user. The desktops are stored in the datacenter typically using a Host – Shared Storage scenario. End Users can connect to these Virtual Desktops using Hardware thin/zero client endpoints or a variety of software clients on PC, Mac, iOS, or Android. You can do a P2V for existing machines or build out “Pools” of desktops for specific use cases or by departments. 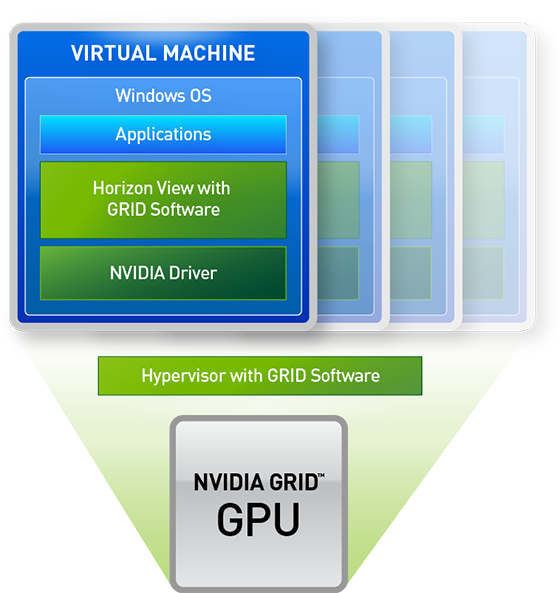 VMware’s VDI solution is called Horizon View, which is now part of the Horizon Suite. There are various components that make up Horizon View, I’m not going to go into that here because we are focusing primarily on VDI performance. I’ve included a diagram of what a typical VDI environment would look like. 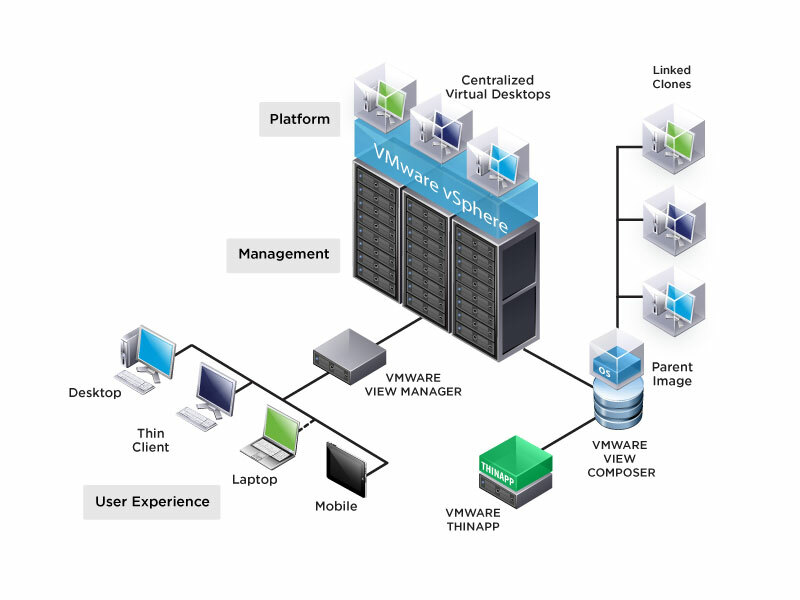 Our company made the decision to deploy VMware’s VDI solution Horizon View (as of 5.2) about 18 months ago. The adoption rate has been incredible, we began with a small test group of 15 users, mainly administrative, task workers and some advanced workers. Our test group rapidly became our production group as we went from 15 to over 100 in less than 6 months. Fast forward to today and we have almost 200 desktops deployed on View and there isn’t any sign of us slowing down, we have about 80% of our staff on VDI and the other remaining users begging for the “black box”. They just flip out when they can swtich from a Zero Client station to their iPad to a conference room and back again! With fast growth comes scaling problems, and we have encountered our fair share of them. First it was battery backup, then it was inadequate cooling, now it is performance. VMware has some great articles about industry Best Practices when deploying View, but there is much more information out there, some from VMware and not. My goal is to lay out the hurdles that we have overcome with VDI performance, the lessons I’ve learned and what we are planning on doing in the future. Look for the 6 Parts over the next several weeks.